Want to confuse someone? Start talking about the importance of geotargeting, user profiles and predictive data modeling. Now ask them if they’ve checked into Foursquare yet. Geolocation is hot. As in, $150-million-dollars hot. Why shouldn’t it be? It blends mobile, contextual information, gaming and serendipity into a relevant experience, enabling users to change their behavior based on the actions of their friends (or enemies). “Checking-in” isn’t just colloquial geek-speak; it’s the new human behavior. Have you thought about the true intention of these tools? Despite what detractors may say, Foursquare doesn’t exist to help burglars rob your house while you’re away (pleaserobme.com). Strangers probably don’t care about your exploits/check-ins. As marketers, however, we should be concerned with the aggregate data being collected and categorized around points on a map. How can we leverage it to our advantage? How is this information pertinent to your brand and objectives? “Open by default” (meaning that information a user posts on a social site is, by default, available to the public) has led to the development and improvement of data collection, with Facebook and Google leading the way. We may have reached a critical mass of information, but at least now we can build predictive modeling around the data and market accordingly. Foursquare, Gowalla, Loopt and Britekite have built context into locations and places that’s a gift to marketers. The world is now a physical Wikipedia entry. Data can be aggregated from everyone and extracted from everywhere. Consumers may think that geolocation is a game, but for us it’s a new way to talk with consumers. With both Google and the Library of Congress committed to archiving dialogue from social platforms, conversation is now part of the public forum for discussion. It’s also universally accessible, searchable and eternal—a huge shift for content formerly viewed as spontaneous and disposable. With this mindset, we’ve begun to see the first forays into leveraging geolocation for brands. Local businesses in major metro areas like NYC and San Francisco are creating “Tips” (partnerships/deals with brands) that prompt a location-aware ad targeted directly at the individual. These special offers are opt-in and usually of high relevance to the user. Brands are also sponsoring in-game rewards for users. 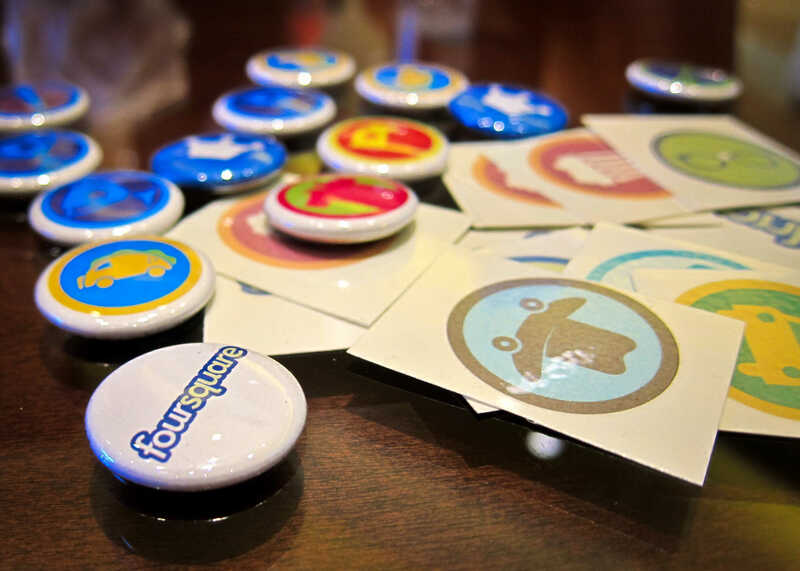 For example, Bravo has created specific Foursquare badges based on their programming. Check into a restaurant featured on “Top Chef” and earn a badge. But what if we aren’t thinking big enough? Marketers could purchase and bid on entire swaths of physical space to target consumers. The auction model is the future of geolocation. The model breaks down like this: Companies bid for “Check-ins” around various locations. Obviously some places will have higher values then others. Then services could charge the company for the ability to communicate with a customer at each individual check-in. A potential execution of this strategy could be enacted by a chain restaurant. The restaurant could purchase the physical space within 2-3 square miles or it could just buy space within all other restaurants and prompt consumers to reconsider their purchase decision. It’s the Google ad model as applied to physical space. Instead of keyword targeting, companies could begin location targeting and identifying the behavior of their core customer profile. Couple this with the recent developments at F8 (Facebook‘s developer conference) and you suddenly have a crystal clear picture of a potential consumer. Predictive algorithms are nothing new. However, they have never been used quite this way. For instance, we already recommend restaurants based on affinity (consumer likes Restaurant X, therefore he will like Restaurant Y), but not necessarily on activity (consumer checks in at Whole Foods so he is directed to an organic bistro in his neighborhood). You can predict a stock’s relative growth based on past activity, so why couldn’t you predict consumer behavior the same way? Mobile accomplishes what was once thought impossible: it allows someone’s online identity to follow him or her around offline. Services like Plancast, Meet Gatsby and Riotvine are utilizing the location-based web to go beyond real-time data and actually put some thought into contextualizing it. They’re taking static data and making it dynamic and predictive on an operational level. By self identifying interest in a particular event or subject consumers can be served information relevant to their future activities. In essence, marketers can now effectively target peer groups and influence a change in behavior via peer pressure. We keep gaining new information about ourselves and our surroundings every day. Augmented reality has become a key part of tech’s evolution; not just a footnote. I'm glad you looked into this a bit deeper than just “Foursquare is cool.” One other use I've seen, which I think is pretty darn awesome, is the city of Chicago using Foursquare as a tool to boost tourism (http://www.urbanlifeandstyle.com/index.php?opti…). If a city like Chicago can use Foursquare to encourage exploration and increased tourism, what else can Foursquare do? To be honest, mate, I'm surprised that geo-location hasn't been as utilized yet as it could be. There's a huge opportunity for cross-marketing between companies within a certain area. For instance, you go to a movie to see the latest Batman. You check in, and the comic book store across the street gets an alert. They know when the movie finishes, so ping you to offer you special offers on any Batman memorabilia if you buy after the movie. Or a restaurant offers a 2-for-1 deal on BatWings for anyone visiting after the movie. That's just a simplified version, but the opps are definitely there. This is a very well thought out post. I think there is going to be a clash between value and privacy. We all want Geo-Location services and fun. But I have concerns about businesses and ad networks potentially always knowing my location. In fact I am not going to give such access. Like the Geo-Fence technology. If I sign up for enough of them my phone could get blasted with 50 offers while I drive by a mall I wasn't planning to stop into. I think if everything is crafted with an Opt-In format that every single time it's Opt-In so that we are conditioned to take action (like FourSquare) its a huge boon. But none of us want spam or clutter on our phones. I use FireFox and Ad Blocker/No Scripts to keep all ad serving networks disabled on my Laptop Browser because since I am pounded with advertising everywhere I look its not viewed as special. If I knew that what I would see was worth while (vs the 90% of ad spend that is branding effort oriented) I would allow much more advertising through. I think Mobile this is even more critical. 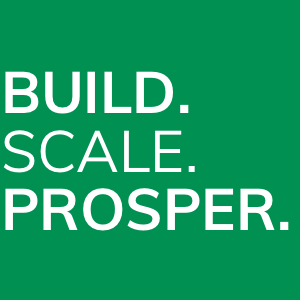 We need value we can not find elsewhere…and if we get it we will opt-in. We do not want branding ads. But we will shy from opt-in if that opens a door to more than we wanted. Like your auction scenario. Do I want an ad served for Pepsi when I check into a restaurant? Not really. But a coupon for half off a 12 pack? Absolutely! But will this bring more business and will it be ethical? If I check into my favorite Sushi place could Foursquare auction an ad for a competing sushi restaurant and would that piss off the place I am at? And BTW highest bidder for the Ad does not mean best value or choices for the consumer at all. It's an interesting discussion to have for sure. What's interesting about Chicago, NYC and Boston is the rapid evolution that Foursquare and services like it have invaded life. I'd argue that in NYC it's essential. How else are you going to know what to do? I think those kinks will work themselves out for one reason: # of conversions. I think that brands will achieve a balance through trial and error…don't you? It amazes me too Danny. So amazed more brands aren't jumping on this in a more complex/integrated manner. Although in the next 6 months I expect an avalanche. Agreed mate – someone's sitting on a goldmine and they don't even realize it. Meanwhile, their competitors are busy talking to agencies who're going to show them just what can be done. And how successful financially it can be. I'm in complete agreement with the immeasurable opportunities brands have with location-based social marketing. However, I'm not surprised that brands haven't jumped feet first into this medium. Why? First of all, as marketers we have literally had the rug ripped out from under us in the past 5 years. We are living in a time of uncertainty and fear in nearly every part of our lives – personally and professionally. We've gone from slamming consumers with a running monologue – a message that was too often hand-fed to us by the PR department. How hard could that be right? NOW…we have to toss all the rules out the window and “engage” directly with customer in an intimate 2-way dialogue? Insert utter fear and confusion. I anticipate a huge growth in the next few years in this area. There is no way that the knowledge of your whereabouts is being used to its full capacity. I think you hit this one out of the park! I like your thoughts here. I agree that we’ll probably see some sort of bidding/self-service system for targeting in the near future. Data will be able to be extracted from everyone…everyone who plays the game and checks in–manually or automatically. The thing these platforms need to improve on is to tell us why we should check in. When there’s a benefit for the average web user, then we’ll really start to see some interesting stuff. There needs to be more game mechanics built in and various levels/rewards for loyalty and checking in. Geo-location isn’t going anywhere and is definitely more than a fad. Foursquare popularized the game-mechanics aspect of it, but there is much more to come. Location data is arguably the most important data and will undoubtedly be utilized more and more. @JasonPeck is right in saying that the average user does not yet see the benefit, but as check-ins become mainstream and automatic, it will become normal to send and receive location-based data.